Radio Host Glenn Beck was suspended “for the coming weeks” from SiriusXM’s following an interview with fiction author and conservative commentator Brad Thor about Donald Trump. The comments by Thor on “The Glenn Beck Show” sounded, to some, like an advocation of violence against the presumptive nominee as he talked about the difficulty in impeaching a hypothetical future President Trump. “If Congress won’t remove him from office, what patriot will step up and do that if, if he oversteps his mandate as president, his constitutional-granted authority, I should say, as president,” Thor said. “SiriusXM encourages a diversity of discourse and opinion on our talk programs,” the company said in a statement. As a result, news aggregator The Drudge Report ran a headline saying that Beck and Thor were discussing “taking out Trump,” a charge that Beck dismissed. “Now, again, this show is an opinion show. That’s what we do. We tell you the news, and then we give you our opinion on the news,” Beck said. 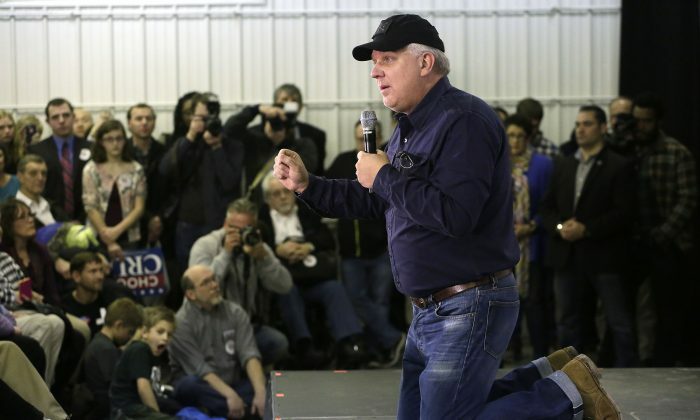 Beck’s slot on the Patriot channel was filled by Fox News and Breitbart contributor David Webb. His slot on his own network’s SiriusXM channel “The Blaze” was filled by Doc Thompson and Skip LaCombe. “Hell no, I wasn’t talking about assassination,” Thor said.